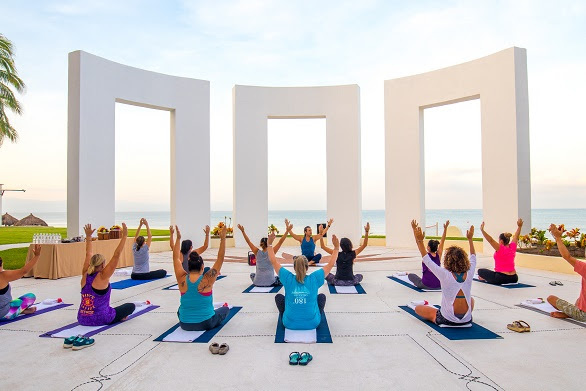 Puerto Vallarta, Mexico (January 30, 2019) - Grand Velas Riviera Nayarit announces its 2019 Wellness Getaway inclusive of industry leaders, crystal readings, yoga, and other mindful wellness activities will be held May 9-11. All special Wellness Week activities are included complimentary in the resort's nightly rate. 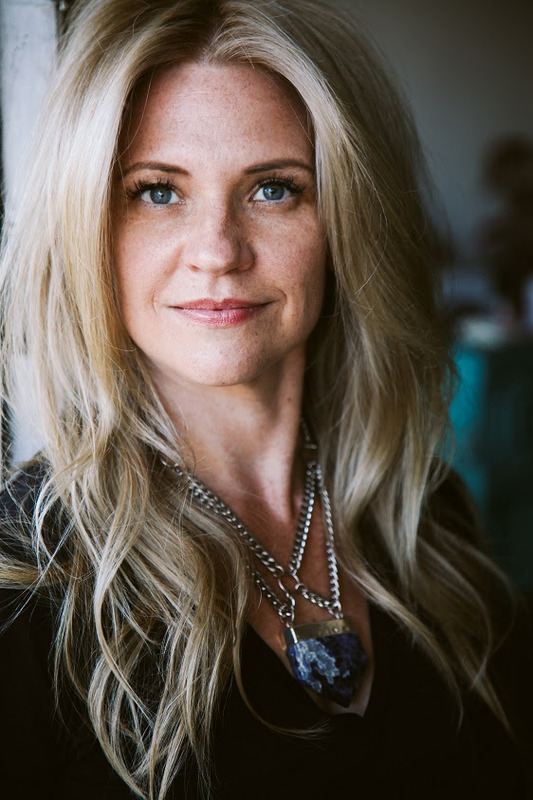 In 2019, instructor highlights include fashion stylist-turned shamanic energy practitioner Colleen McCann; Sherri Baptiste, founder of the nationally recognized "Baptiste Power of Yoga" method; and Claire Grieve, a highly sought-after international yoga specialist, stretch therapist, health coach and wellness writer. Baptiste will guide guests through yoga postures for serenity, strength, grace, and beauty during her Power of Yoga class. Additionally, she'll teach a Yoga with Weights class that will tone abs, stimulate metabolism, build endurance, maintain bone density, and increase flexibility. In a CRYSTALS 101 class,Style Rituals' founder Colleen McCann will teach the basic know-how needed to dive into the sparkly world of gems based on her newly released book, Crystal Rx. Guests will walk away with a wealth of knowledge, industry tips n' tricks as well as a customized crystal 'Medicine Bag'. McCann will also lead a workshop on ceremonies and rituals to help bring greater balance, focus, abundance, confidence and more into one's life. Highly sought-after international yoga specialist Claire Grieve will offer a fast-paced power vinyasa class as well as a restorative and meditative stretch session that will help loosen tight muscles, melt away tension and connect to natural energy. Additional activities include a Cardio & Sculpt Power Yoga with Mexican Trainer and Fitness expert Rebeca Sutton, Kundalini meditation with ancestral sounds led by the Director of Mexico's Yoga Institute, AquaForza water workout, sound therapy, All Senses Dinner, and more. 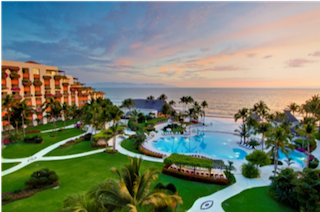 Resort rates start at $315 at Grand Velas Riviera Nayarit. Accommodations in the Wellness Suites start at $370 at Grand Velas Riviera Nayarit respectively. Rates are per person per night based on double occupancy and include all Wellnessing Getaway activities, luxury accommodations, a la carte gourmet meals at a variety of specialty restaurants, premium branded beverages, 24-hour in-suite service, taxes, gratuity and more. Spa treatments are an additional cost. For reservations or more information, call 1-888-407-4869 or visit https://velasresorts.com/wellnessing-getaway/. Claire is a highly sought after international yoga specialist, stretch therapist, plant-based health coach and wellness writer. Claire underwent extensive yoga training with some of the world's top yogis and is also a certified Health Coach. Claire has dedicated almost a decade to teaching and is on a serious mission to make yoga enjoyable and accessible to everyone. Her deep and pure passion for helping people transform through yoga and wellness has led her to work with with a vast array of celebrities, professional athletes, fitness leaders and people of all genders, professions, shapes and sizes. Claire has been featured in Harper's Bazaar, Vogue, Womens Health and SHAPE Magazine. Follow Claire at instagram.com/claire_grieve or www.clairegrieve.com. 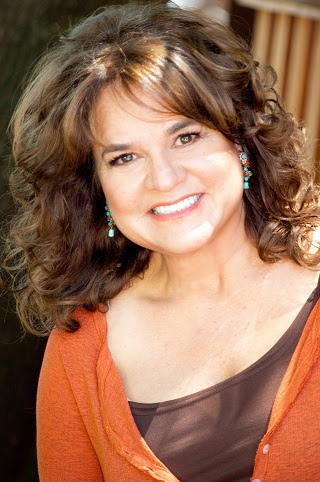 Colleen McCann is a certified Shamanic Energy Practitioner who was a fashion stylist in a past life. She has travelled the world researching crystal traditions and conducting crystal readings, as well as space clearing and balancing, shamanic healing, and intuitive business coaching sessions. Her work has been featured on GOOP, and in The New York Times, Vogue, Vanity Fair, Refinery29. She lives in New York and Los Angeles. Her website is www.stylerituals.com.